NORTHAMPTON: Transportation infrastructure investments are focused by many countries around the world as a fiscal stimulus. 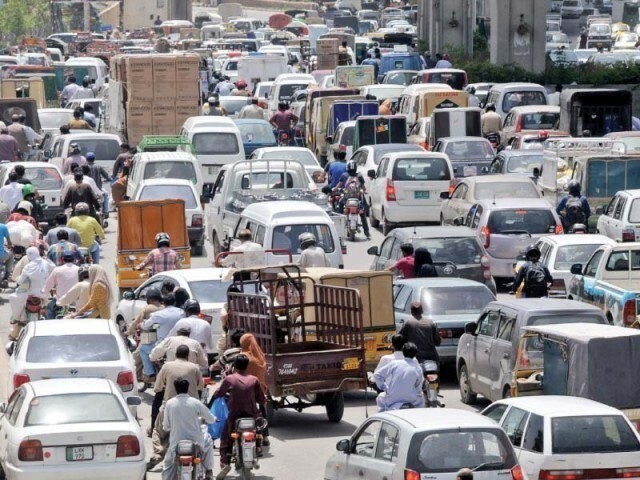 There exists a massive need for efficient transportation infrastructure in Pakistan due to an estimated population of 207 million. It is not just Pakistan which exhibits a significant demand for infrastructure, but globally too, it has been estimated that $57 trillion worth of infrastructure investment is needed from 2013-2030. Governments have traditionally argued that ongoing investment and innovation in transport promotes national competitiveness and enhances living standards. However, a bigger question arises: are only new projects needed? How much savings can governments generate if they periodically maintain existing infrastructure projects? Lifecycle asset management is the process of optimising the profit generated by assets throughout their lifecycle. It is defined as a combination of management, financial, economic, engineering and other practices applied over the full lifecycle of physical assets to provide required level of services for present and future customers in the most cost-effective way. Hence, this method represents a systematic and holistic approach to asset development and preservation, which ensures maximum service performance at minimal lifecycle costs. A 2013 report from the McKinsey Global Institute stated that with a 60% improvement in infrastructure productivity, savings of $1 trillion could be achieved. Efficient transport systems can raise national competitiveness and enhance living standards. However, transport systems that are not adequately maintained can quickly shed value. Neglecting maintenance can lower their productivity. An interesting fact from the book, ‘A Geography of Transport Systems’, reveals that average lifespan of a railway is nearly 50 years. However, with regular maintenance, its optimum lifespan can be stretched three times to 150 years. It is often observed that the private sector undertakes much more efforts to ensure maintenance of its assets than the government. What are the particular incentives for the public sector which prevent it from implementing lifecycle asset management policies? In the case of governments, there is often trade-off between corrective maintenance, where maintenance is undertaken following a fault, and preventive maintenance, where an effort is made to reduce the likelihood of an incident. With the World Economic Forum stating that 90% of all global infrastructure investment is provided by the public sector, it is imperative that governments should strive to implement lifecycle policies not only to extend the life, but also to enhance the quality of assets. A dearth of periodic maintenance policies can be acutely felt in Pakistan where 15,000 people die annually due to road accidents. The national highway and Motorway Police claim that mostly these deaths are caused by mistakes of drivers but these could also be due to poor quality of roads or lack of adequate signs which inform drivers well in time to reduce speed. In Pakistan, similar to many other developing countries, the construction of new assets attracts greater appeal and a higher political support as opposed to maintenance of existing infrastructure. Moreover, the media also pays more attention to new projects rather than routine maintenance. Governments inducted into office for a five-year period have less time and therefore, they focus on gaining political mileage by introducing new infrastructure investments. Moreover, there exists no mechanism through which federal and provincial governments could be held accountable on how they maintained or preserved the critical assets. The irreversible effects of deferred maintenance usually emerge much later than their term in office, leaving them with little incentive to undertake maintenance expenditure. Political wrangling between parties also results in the next government having fewer incentives for the maintenance of infrastructure constructed by the outgoing government to gain political mileage. The resulting loss is borne by the society. Lifecycle policies need to be implemented at every stage of the asset lifecycle, starting from the designing phase to the build, operate and maintain phase. According to a World Bank report, investment returns on transportation infrastructure maintenance are twice as high as those for new construction projects. Since large-scale assets and facilities are intended to last anywhere between 25 and 99 years, the dividends of maintenance will not only be reaped today but also by the next generation. Public-private partnerships are an important force in addressing several challenges currently affecting the transportation infrastructure and adoption of lifecycle asset management.